Mechanical equipment in motion generates a vibration signature at any speed or mode of operation. Infralogix uses vibration analysis to evaluate these signatures to determine the condition of machinery and associated structures. Vibration data is collected using an instrument that obtains a full–spectrum vibration signature in 3 axes at selected points on the subject equipment. 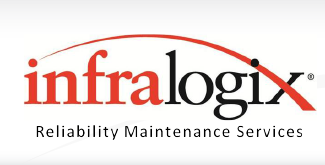 By analyzing the vibration signatures and comparing against baseline measures, Infralogix Reliability Specialists can identify conditions that indicate a mechanical fault or that may lead to failure. Vibration Program – develop and manage a program specific to your facility’s needs to periodically monitor equipment as part of your predictive maintenance plan. Regularly scheduled vibration analysis is a very effective predictive maintenance method to identify potential problems well before they fail. See Maintenance Program Development. Full Service – Infralogix will perform data collection, analyze results, and prepare detailed report with findings, interpretations and recommended corrective actions. Service optionally includes Work Order and CMMS updates as applicable. Vibration Analysis and Reporting Only – we will perform analysis on vibration data collected by your organization’s staff, and prepare detailed report with findings, interpretations and recommended corrective actions. Service optionally includes Work Order and CMMS updates as applicable. Trouble Call – help identify or eliminate possible causes for equipment issues. All of the above services can be combined with infrared thermography and ultrasonic analysis to provide even more valuable insight into equipment condition and help organizations address potential problems proactively.